Opened Sept. 1939. 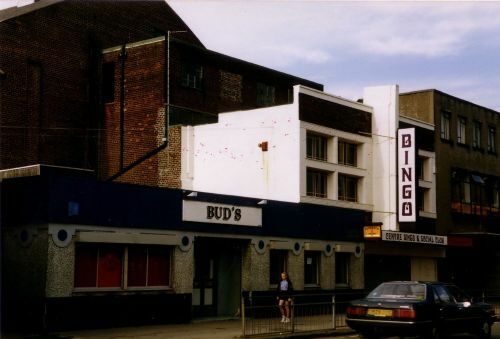 On bingo until 2006; currently empty. Photo above c1993 courtesy Chris Doak; photo here courtesy Norrie Mcnamee. Pictures below after closure courtesy of Emma Mykytyn. Opened 1911 by George Urie Scott, on ground originally used a cooperage. This replaced his earlier Barrhead Picture Playhouse, which had been converted from a roller skating rink. The Pavilion was rebuilt 1935 by McNair & Elder. 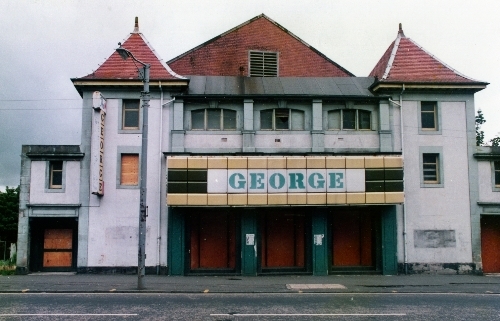 Renamed George from 1969; closed 1977. Later demolished in the mid 1980s. Photo above c.1983 and playbill below courtesy of Ted Easdon. Click on the 1939 playbill on the left to see a larger version.